We’re declaring December 2018 Plumbing Careers Month on the Building Wisconsin Blog. Throughout the month, we’ll feature information and videos about the opportunities available for a rewarding and lucrative career. For instance, according to the Bureau Of Labor Statistics, the number of plumbing jobs will increase 16% by 2026 – much faster than average. Those interested can click here to check out the new Plumbers Local 75 Career Portal. 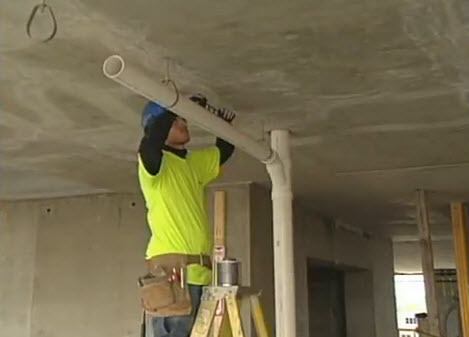 In today’s short video from the Building Wisconsin TV series, we’ll talk to Plumbers Local 75 member Jim S., plumbing foreman for a 30-story high rise condominium who explains how water mains are piped through the building.